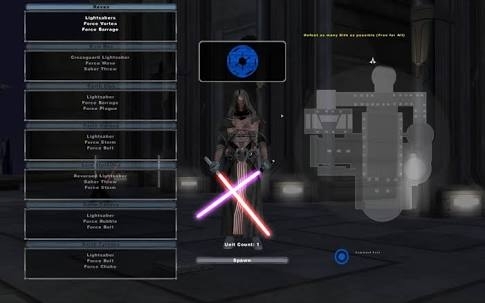 Now, it is mine and many others opinion, that the original battlefront 2 from 2005 was the best way to experience star wars through a gaming platform. 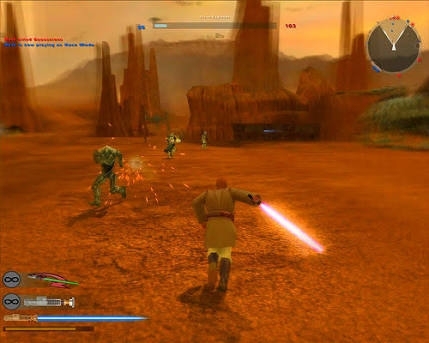 And your battlefront game should strive to hit the same feeling that that game gave us. GALACTIC CONQUEST. 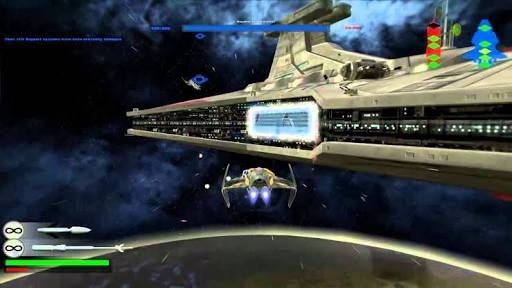 Galatic conquest was one of the flagships of og battlefront. It offered such a rich star warsy feel. 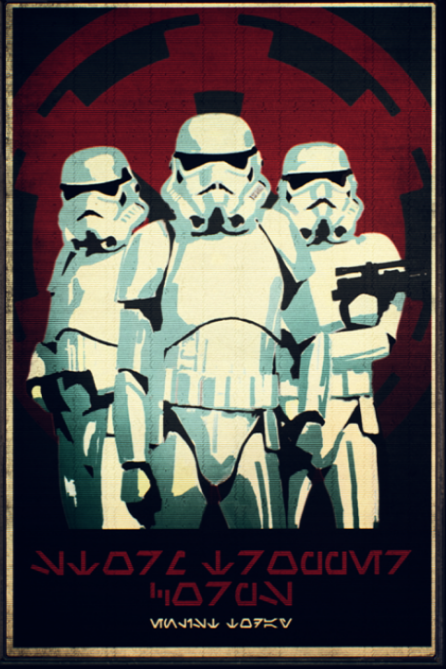 Being the rebels and narrowly taking a planet from the empire, one by one. Then when you think you almost done for and you become a hero and easily take down 50 men. That was awesome! Online doesnt allow for the heroes to have quite that smae feeling like being able to mow down heaps of ai. Thats the kind of thing that makes you want to come back to the game. So, if you want to know why this game does not even nearly reach the levels of enjoyment and replayability of the originals, heres the answer: it is not nearly similar enough to the originals as it should be. You've taken away and changed everything great about those games and gave us this. So I urge you to make the game more like the originals and more offline oriented in the future. No thanks. Modern Single player campaigns are repetitive and boring. You are basically playing for cut scenes. So... are you agreeing with me? What do you mean? Thats the whole point of my thread. I'm saying that it shouldn't be multiplayer focused. And do you really think the player base could drop lower than it already is? Are you kidding me? Why should we have to wait years after purchase before we get the 'finished game'. So your saying any review of a game ever is not permitted to criticize the game upon release? 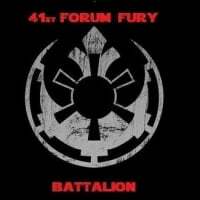 And what do you think these forums are for? They are for bringing up criticisms and alerting the developers of problems with their game. Firstly, I don't mean to sound rude but why would you want a BF2 2005 reskin? This is not that game... If I want to play that game I have it in multiple variations including on PC which almost any basic PC can now play and will be able to play forever. Secondly, games are tailored to their target audience. Which is primarily the younger generations. As many of these generations don't know offline only games they aren't going to want a game with priorities based on that. Besides the inclusion of friends anywhere in the world is a massive feature to games of today. Finally, all the money is in multiplayer and drip feeding DLC to end up with a game with all it's content. With the invention of high speed internet game makers don't have to release a game complete anymore like they did in the 2005 PS2 era. Doesn't mean they shouldn't but we all have to accept they won't or vote with your money and don't buy it! If content is an issue just buy games for half the price and year down the line when the extra content has been released. It's the toxic game industry of today I'm afraid. Modern shooters completely lack all emotion and heart favouring killstreaks and thats horrible but I don't think it means this game is a complete write off as bad! Firsty, this IS that game. Hence the title 'battlefront'. And anyone, including myself, who doesnt own a pc cant play that game. Secondly, if you read my post you would understand why I believe it would be best for everyone including the target audience if offline was priority. And are kids really the target audience? Or is it just nostalgia ridden fans. Why else would they choose not to focus more on the clone wars era? Lastly, but what ive said in my OP is that by focusing more on offline, more funds could go towards more content, and would therefore feel like a more full game. Regardless of what I said in a previous thread about the game getting better, I still think the game desperately needs to be more involved with offline. Ummmm Star Wars Battlefront 1 and 2 Lucas Arts/ Pandemic was waaaaaaaaaaay more then just a Campaign bud. The reason is simple, the game is insanely fun and why shouldn’t we want a graphic updated version? You miss the fact that it’s graphics are dated. It is crazy fun but it’s visuals are not the frostbite engine. Secondly, games are tailored to their target audience. Which is primarily the younger generations. As many of these generations don't know offline only games they aren't going to want a game with priorities based on that. Ummmmmm what? LMAO Are you freakin’ kidding me? Do you know how many of my young friends play in large groups of 10 playing Super Smash Mario Brothers? They get together to play it at least twice a month. That game is old dude. There ages range from 13 up to 19. That is totally Offline, where are you getting your statistics from? Fully. I don't remember the game because of the campaign, I remember it because of everything else. Thank you, candle held high, candle held way high. The ai is so bad in this game if they made the focus on offline I would immediately uninstall. The comparison to the og's being offline focused is a bad comparison, they were made where most console players didn't have the ability to play online, console mp was just getting started and the online adapter for the ps2 cost more than a system did at that point. I agree with the TC. However, in this day and age, the younger generation knows only offline. I think they should have made both equal priority: Full parity between offline/online. I agree with a lot of what you said except for everything talking about offline. In fact I have the full opposite opinion - that all offline content should have been bottom barrel. I didn't buy a single player game. I bought a multiplayer game. I want to play a multiplayer game. Vehicles , multi-stage battles , all that other stuff sounds good though. If this was an offline kiddie game I wouldn't even be here. And as ive long repeated, the real problem with this title is it tried to accommodate everyone. And therefore accommodate no one. All the people that wanted a story mode so badly. . well we spent time and money on a bad story mode. 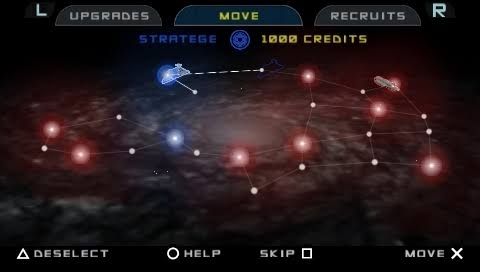 EA would have given better leadership and Direction by creating a better multiplayer and getting a single player off in close order. When you say the focus should be on offline content, what you're saying is you don't want a multiplayer game. You've got to be able to divide your desire for a multiplayer game and your desire for a single player game. And trying to mash them into one title has proved unworthy. Well it all depends on how well they program the ai to determine weather it's a "kiddie" game or not. I think they should have mostly ai with say 9 other players in a match. But if it were offline focused the ai wouldn't be nearly as bad. Take a look at any other single player game. If they done it right, they could dominate a bug whole in the market to- since every game is online these days. Take gta online for example. Thats what I think the multuplayer should be like. Except obviously it wouldnt be free fo all. the majority of people play online with this game. Why would they then forget about the majority and focus on the minority who just play offline. Of course the majority plays online, because thats the focus. You can do hardly anything without online. It wasn't until recently that you could even play strafighter in offline. 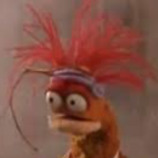 Even if you hated online you would still ay it, because its your only option really. And if there were heaps of AI, people who weren't as good would get a better chance at earning credits and all. I don't think you're getting it. If you don't want a multiplayer game, then you want another game. This is a multiplayer game. No, I don't think you get it. Battlefront was originally an offline game. Everyone loved them, thats why EA and Dice have made new ones. But now they are online instead. What my thread is saying is it should revert back to offline to solve loads of unnecessary problems and give lots more potential. You're right to say I don't want this game, I want the game that it should be, and used to be. The game that everyone expected when it was announced by EA. While the single player was decent, I'd rather they put solid focus into offline arcade rather than the campaign. Having that 1:1 parity with online would have been great. They say hero ai and Galactic assault bots are hard to program. I'm sure if they would have made arcade the focus instead of campaign, it would and could have been done. EA is so afraid of people playing offline. You're just being combative right now. 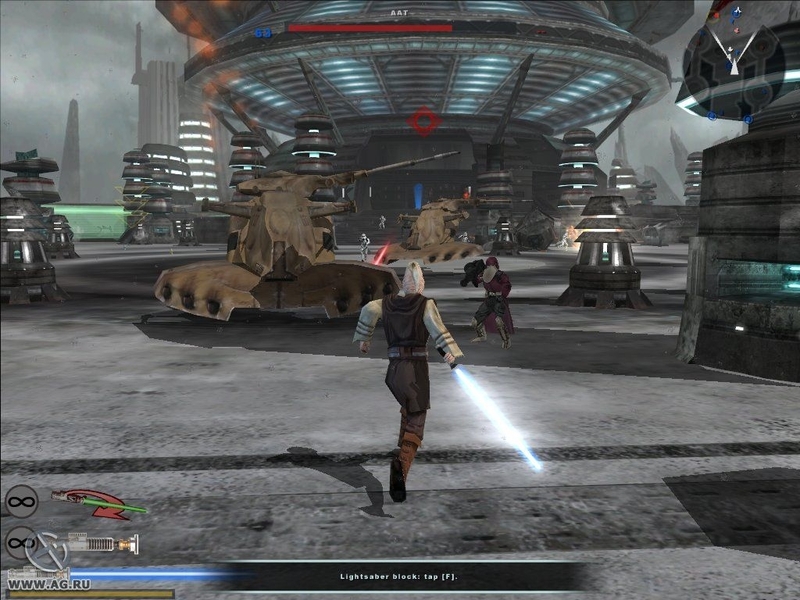 This Battlefront is a multiplayer online game. The game you want is another game. The games 13 years ago are not today. I like to discuss you want to be combative and shove you're wrong Point down people's throats. So I'm done.
. Totally got what you're saying that's why I said what your suggesting is another game. The campaign should have been the desired single player Story game that people wanted. Exactly. I personally don't care for campaign, just offline stuff like conquest mode etc. I want this more than anything else right now. The current arcade is hollow. 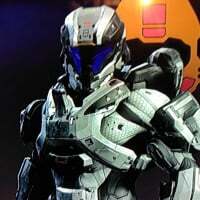 Can you level up classes/characters offline? Can you earn decent credits either? To much online required, and it isn't even stable right now. Bugs and balance issues are killing the game for me. While I would enjoy more campaign, I would rather shoot ok arcade AI versus what is currently barely playable online. I jumped on the EA Battlefronts because of the LucasArts games. However, if there aren't any major improvements/plans I will not hesitate to uninstall. On xbox, I can grab both original BF games and more. I'm not being combative at all. I'm saying I wamt this game, but I want it offline, not online. Thats how it should have been. 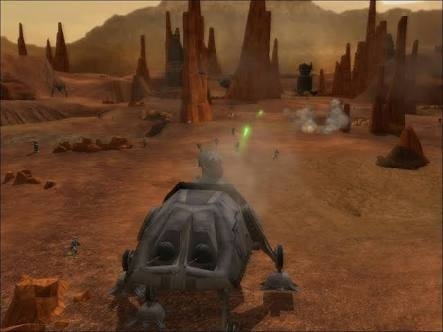 If someone makes a different game that is extremely similar to the original battlefronts, but with all the new technology, then yeah thats the game I want. I jumped on the EA Battlefronts because of the LucasArts games. Exactly this. 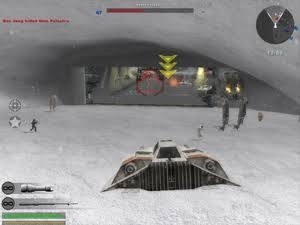 Everyone I know, including myself, all loved the original battlefront games. They were our favorites. Hence why they were created again. But most of them now don't even own the new ones because they know its not at all what it used to be. What they wanted. Prioritize offline in a predominantly online game eh? Your future as a business strategy consultant with Enron looks bright! You can't fund an online service game by adding only offline content. Prioritizing offline would be fully implemented and inteded for the next game. The other 4 could be done though. Sorry for confusion. Don't make it an online service then. Use other methods. If it were offline focused then it would be easy to sell dlc packs. 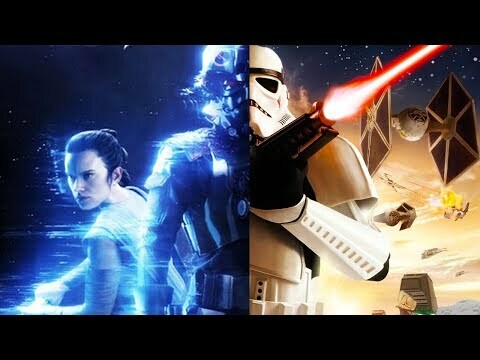 Plus, after the absolute extreme backlash that this game has had, it would be very beneficial for EA and Dice to come out and tell the fans that they are revamping the game. I big restart. Making the game more like the originals we all loved and ridding it of micro transactions. It would be a fresh start for them to regain us fans. It would go along way to regain my trust, honestly. I'm getting numerous bugs & balance issues online, so an offline re-focus would be a dream come true for me. This is very true. 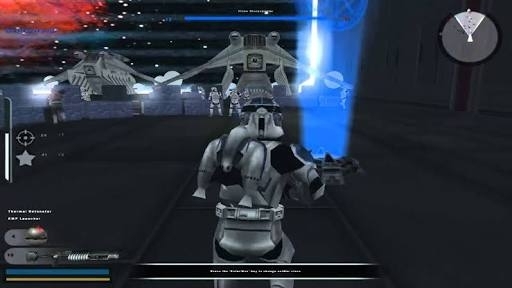 The real fans of Battlefront wanted to have at least the same features that the originals had, such as Instant action, galactic conquest etc. 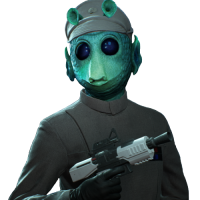 It wouldn't have been that hard to make this happen while also expanding on online features that the new BF2 has. Sadly, the new battlefront games (barely can call them that) are made to please modern ADHD kids with their momma's wallet. I strongly believe, that if this game even had GA and SA for offline, it would not have been such a disaster at launch. Why is that? Well because then the REAL battlefront fans could have just jumped into the battle of Hoth for an example. The REAL Star Wars fans want to get in on battle of Endor at their will. But no. You can't do that offline. Also not in online until the map rotation lands on that. And that EA / Dice is why you fail. Assuming a player is loading into campaign to play the story; probably. 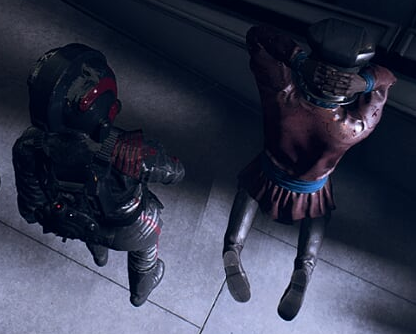 Sometimes, I need to look at a character model, the reasons as to why differ. It's this generation of millennials that EA is catering to. The always online 24/7 generation. I play offline for the choice and always having the content avaliable. OP I feel your pain but really what could we say and do to change this? 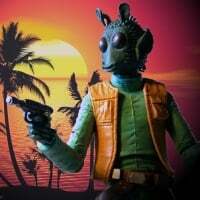 Unfortunately the people that keep coming up with their "vision" of a game or movie are the.... Can I say 5% of the star wars fans and lost what Lucas had intended . Lucas had a vision for games and movies and to be realistic those in charge think of money and don't realize what a great thing is. So we get what we get. 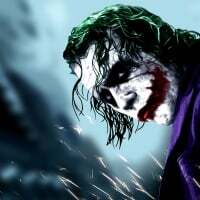 Remove how much money we will get and politic mentality and games and movies will sale off the shelves. Even Lucas at first didn't think star wars would do well he just wanted to tale his story. 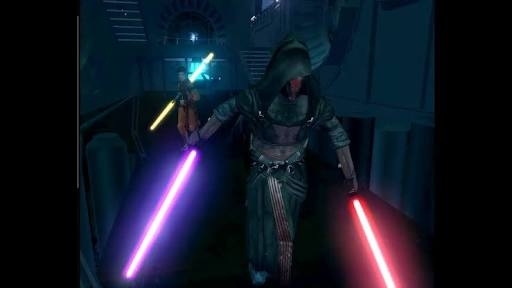 Empire was for the fans and so was Jedi. The episodes was to capture the hearts of the original fans kids so his fans can share that world with their kids. 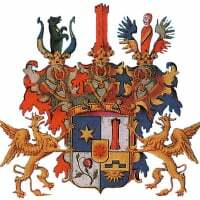 But now just like the games it's about money and what they think the %ag of what think is a favorable amount want. Which every release of a game or movie sales go down. But what can we do about? Not buy a game because its not exactly what it's to be like in our eyes? Not go see a movie because they changed the great characters from heroic that's every part of them to less than OK? The choice is yours to make not because someone say so but what your heart feels. So keep expressing yourself! If it's by wallet or voice. And just to let everyone know I am black and I to feel robbed by star wars! I'm sorry, but what are you trying to say?